FLASH! - Description | W. W. Norton & Company Ltd.
An engaging and frank guide to writing the very short story, full of sound advice, exemplary models and provocative exercises. 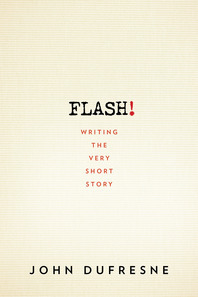 The history of fiction has been dominated by the novel and the short story. But now a brave new genre has emerged: very brief fiction. FLASH! 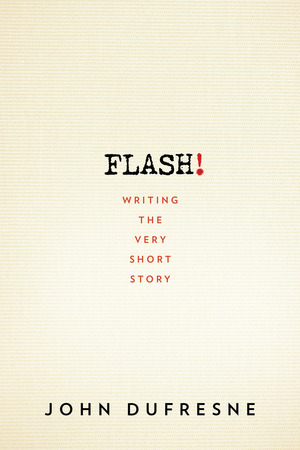 identifies the qualities that make for excellent flash fiction, demystifies the writing process and guides writers by exercise and example through the world of the very short story. John Dufresne’s characteristic warmth, wit and humour remind writers of the joy in the creative process, making this a perfect guide for any writer interested in trying a new form. For readers of Elmore Leonard and Dennis Lehane, a South Florida noir from the best-selling author of Louisiana Power & Light. Reissue of a favorite novel by “a generous and lyric storyteller” (San Francisco Chronicle) known for his tragicomic voice and unforgettable characters.